OK here is my passion! How do you edit footage you take and make documentaries, video commercials, and tutorial videos? I have 12+ mobile apps on my iPhone and I’m always trying new ones. It’s hard to narrow it down to three top apps but I feel like sharing all of the ones I use would be counterproductive for you. Of all the mobile editing apps I use here are the three must haves. This is a powerful app and my current go to. There are a couple of apps that have More features but I feel like this app has exactly what I need and nothing to get me sidetracked. The rendering speeds are insanely fast and the video output is stunning. This would actually be a great app to start editing video on before you go to one of the more robust desktop apps. I can’t say enough about this app I love it and the small upgrade fee to go Pro is well worth it. 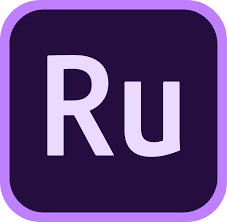 Adobe Rush CC is a fantastic app with the very best audio correction I have seen. If you find your audio from your phone is suspect or you didn’t use a mic you’ll be blown away at what this app can do to fix it. I had the opportunity to participate in a small Beta testing group for this program earlier in 2018. The editor allows you to flow between mobile and desktop, create social media ready videos, and create videos sophisticated enough to be ion the professional level. You get options but not too many that will get you in trouble. They will be releasing an Android version in 2019 for mobile as well as continue to add updates to it but out of the box this is a solid editor with World Class Audio editing. This app blows my mid. I show up to an event and begin filming. When I am done and get into the car I choose all of the clips, add music, and then press go and the app puts together a fantastic video that I can upload to social media before people are even done attending the event! This powerful app will figure out the video automatically for you and then will give you a chance to edit clips, color, and a number of other settings in a very simple to use console. There are several AI (Artificial Intelligence) apps like this but the ability to take an AI video and manually work it over makes this an incredible must have. Video Editing side by side with you or remote working on your project. Lots of videos can be done in an hour or less depending upon how complex they are. I usually try to price it out by project and I don’t nickel and dime you for everything. There are several things that could affect the price of a project. How fast you need the project done, where the footage is coming from, and how many revisions you think you’ll need. As in everything I do I’ll work with you and your budget. Your basic 30 second video with music, transitions, and your footage/photos. Titles and fading of music and video along with logo placement. You retain 100% commercial ownership of the video which is delivered via online shared folder. Same as the 30 second video with the exception of more cost.